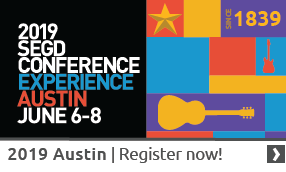 SEGD supports the growth of Experiential Graphic Design worldwide. SEGD Developing World membership is available for any designer or Fabricator resident in a country with an annual per capita GDP under US $20,000 a year. The countries meeting this criteria from the G20 list are Brazil, Russia, India, China, South Africa, Argentina, Mexico, Indonesia, and Turkey. Developing World membership is also extended to any country on the Worldbank GDP listwith GDP per capita under US $20,000 per year. Developing World membership has limited benefits as compared to full membership of SEGD.